The Deconsolidation of Democracy is a 2016 report by researchers Roberto Foa and Yascha Mounk which details the decline in democratic values worldwide. It's based on an analysis of the World Values Survey over the past three decades. More and more people are turning to extremist alternatives and this is most pronounced among young people. What about Canadians? Are we turning more and more to extremism? Unfortunately Canada ceased to participate in the World Values Survey so we don't know. However we do know that interest in voting is declining and that it is a generational phenomenon. The lowest youth voter turnout, among the ten provinces, is in NL at approximately 29%. 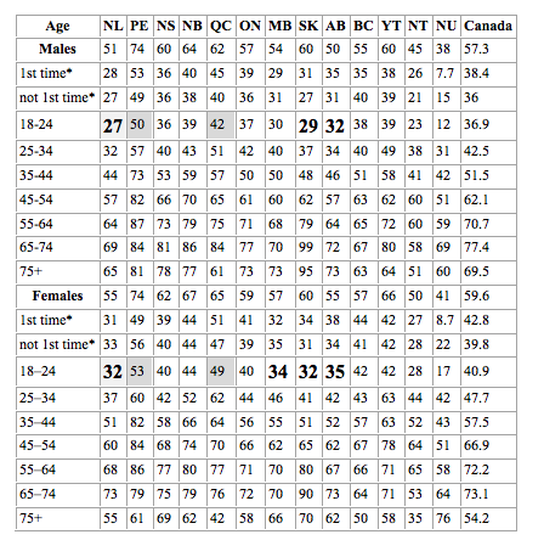 The highest youth voter turnout is in PEI (at 51%) and Quebec (45%), both low compared to other age groups. The general trend is towards a declining youth voter turnout across Canada, but it is particularly pronounced in the 18 to 24 age category. 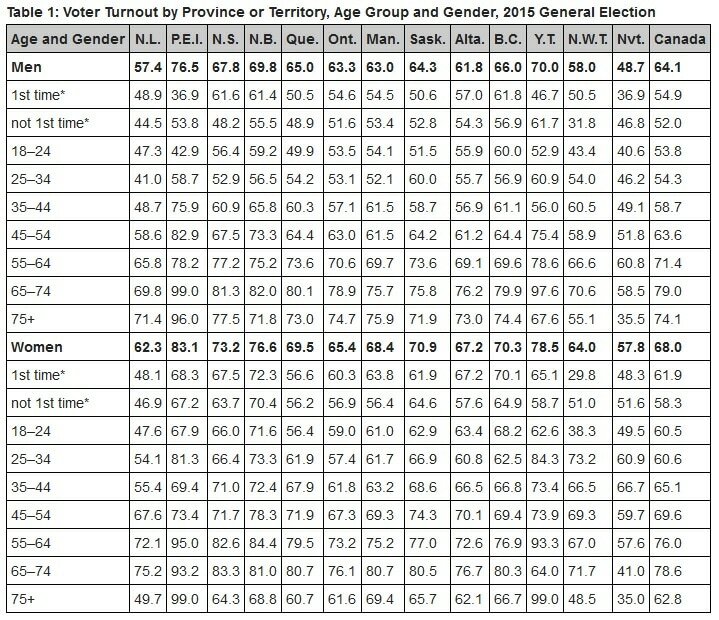 Here is an Elections Canada chart that shows voter turnout by age in Canada. Back in the 1970s over 80% of young Canadians were voting in federal elections. There was a dramatic decline in voter participation among young Canadian during the 1990s. Here is an Elections Canada graph showing voter turnout across all age groups in the 2006 federal election. From 2000 to 2006, the youth vote (18 to 24) declined from 60% to 42%. The average voter turnout across all age groups in 2006 is equivalent to the lowest voter turnout in 2000. These trends are dramatic on all counts, but most urgently for the youth vote, which represents the cornerstone of our democracy going into the future.